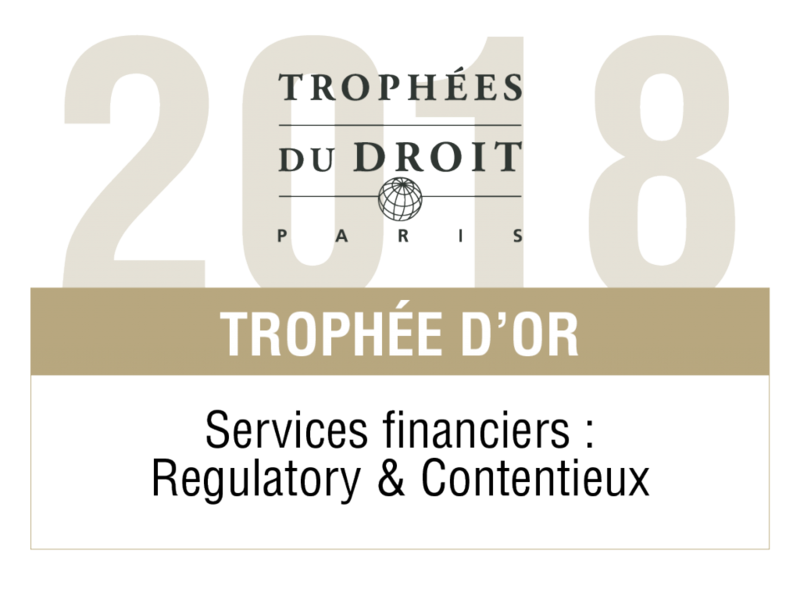 Spitz Poulle Kannan received the prestigious Gold Award in the category: “Financial Services – Regulatory & Litigation” at the 18th edition of Décideurs Stratégie Finance Droit’s ceremony that took place at the Pavillon d’Armenonville in Paris on 24 January 2018 in the presence of around 900 professionals from the legal fraternity. This award, decided by a jury of prominent professionals from the investment banks, corporate and investment funds sectors, is once again a recognition of the firm’s leadership in the advisory and regulatory litigation practice area in France. Our firm ranks each year among the leading law firms on banking and financial regulatory services in Chambers, The Legal 500–EMEA and Decideurs. Every year, the Trophée du Droit is organized by magazine Décideurs Magazine (Leaders League) to honour the best law firms in Paris.